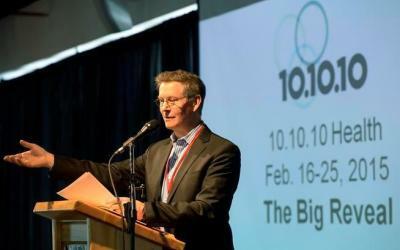 1O.1O.1O, a project of Colorado Nonprofit Development Center, hosted its first program in 2015. Since then, over the course of four years and six programs, 1O.1O.1O has identified and explored wicked problems in key sectors – including health, water and infrastructure. It has engaged a growing community of interest – including 60 serial entrepreneurs, 60+ Validators, and well over 100 Ninjas. The result: participants develop an understanding of wicked problems in health, water and infrastructure, inspiring them to tackle these problems in new ways. WHAT WE DO: The organization hosts programs that bring 10 successful entrepreneurs together for 10 days to confront 10 Wicked Problems, with the goal of inspiring new ventures based on new products or services that can solve one or more of the Wicked Problems. WHY WE DO IT: We exist because Wicked Problems in health, water, food, energy, learning, infrastructure, waste, security and climate change cannot be addressed effectively by government, large industry or research institutions. We exist to inspire serial entrepreneurs, large organizations and institutions to work together to address these wicked problems with market-based solutions. We see serial entrepreneurs and investors as a lever that philanthropy and large industry can use to generate return on investment and impact. WHO DOES IT: We recruit serial entrepreneurs hungry for an opportunity to co-create the solutions and businesses that address Wicked Problems. We also assemble a wide group of talent to support our entrepreneurs. They include: Problem Advocates – experts who have dedicated their lives to understanding Wicked Problems; Validators – entities and individuals that validate whether a problem is in indeed “wicked”; Ninjas – professionals with diverse backgrounds that offer heavyweight assistance, and Volunteers – who provide help with a variety of program components. We are supported in our efforts by 101010 Founders LLC, a for-profit organization that provides processes and services to support 10.10.10’s programs. WHEN WE DO IT: We host programs on health and other problems twice a year. Our 10.10.10 CITIES Health 2019 Program runs April 1-11. WHAT WE’VE DONE: Convened four health programs, one on water & infrastructure. Served as the inspiration for seven ventures that have raised millions in funding, including BurstIQ, Apostrophe Health, Concert Health, Microlyze, Upsuite, Recalibrate Solutions, and Hey Herbie. WHAT WE PLAN TO DO: Host 10 programs in 10 cities by 2025, producing up to 100 new ventures each year. HOW WE MEASURE SUCCESS: Our key performance indicators (KPIs) are four-fold. First, to ensure that the program is a valuable experience for all participants. Next, we look for new venture creation. We expect to see a return on capital to investors. And finally, to deliver real impact on the world.